On Saturday evening a fire ripped through a clothing factory near the Bangladesh capital of Dhaka, killing at least 117 people and sending workers jumping out of the nine-storey textile factory. According to the factories website, Tazreen produced for a host of well-known brand names from Europe and the US. Campaigners claim Western firms making clothes in Bangladesh hide behind inadequate safety audits to help drive down costs. The Clean Clothes Campaign (CCC), an Amsterdam-based textile rights group, says international brands have shown negligence in failing to address the safety issues highlighted by previous fires, and that this leaves them with responsibility for yet another tragic loss of life. The big brands including the European clothing store C&A and the giant US retailer Walmart say they have been working with their Bangladeshi partners to improve standards. Around 700 garment workers have been killed in dozens of fires since 2006, according to CCC, but none of the owners has been prosecuted over previous blazes. The Solidarity Centre reports that Bangladesh is now the world’s second-largest clothes exporter with overseas garment sales topping $12 billion last year, or 80 percent of total national exports. Yet the base pay for a garment worker in Bangladesh is the equivalent of £23 a month—the same monthly amount it costs to buy food for one person. There are no local unions at the Tazreen Fashion factory to represent workers and ensure safe worksites. Earlier this year, union activist Aminul Islam, a leader of the Bangladesh Garment and Industrial Workers Federation (BGIWF), a Solidarity Center partner, was tortured and murdered. Inhumane and illegal labour practices seem to be ever present in other industries also. Apple has recently faced scrutiny over conditions at China’s Foxconn factories. Is it enough to feel bad and then simply forget about the workers who have died in Bangladesh this week? What can the British high-street do to ensure the disposable trends that we consume on a season-by-season basis are sourced ethically? According to the First Research industry report on apparel manufacturing, this dependence upon large retailers is one of the key issues that affect the global garment industry. It may be that the largest retailers in the world can band together and insist on safer working conditions in the factories that supply their products so that they will not have to issue additional sad statements. If we choose to stop buying the clothes from the brands involved what’s the knock on effect? In the long run if everyone stops buying cheap clothes from these brands, people will lose jobs, which will force them to find work elsewhere, which may have worse pay and conditions. Is it purely a vicious circle? Are we as consumers responsible for this or does the blame go to the brands? Twitter Trolls – can they ever be stopped? I have read on my own twitter timeline, gossip magazines and newspapers about high profile celebrities that fall as victims of twitter trolls. As much as their lives are in the public’s attention, death threats and vulgar abuse is a day to day occurrence for some people. I was on Twitter the other night and stumbled across Scott Mills (BBC Radio1 DJ) replying back to some twitter trolls sending him homophobic messages. Twitter strives to protect its users from spam and abuse. Technical abuse and user abuse is not tolerated on Twitter.com, and will result in permanent suspension. Any accounts engaging in the activities specified below are subject to permanent suspension. Link for policy. But is a suspension enough punishment when they can create a new account easily and carry on sending abusive messages under a different name? In an article by The Daily Mail last year X Factor singer Cher Lloyd was calling for government intervention to halt online abuse from ‘trolls’ who torment others via social networking sites. But are new laws from the government and help from the police going to stop trolling? Probably not. This is a very sensitive subject that is extremely hurtful to the person involved and it is disappointing that Twitter is used in this way. But can twitter trolls really be stopped? If people stop talking about trolls and giving them the 15 minutes of fame that they desire; will they still feel the need to do it? Once we talked about the actual sporting activity, now this has simply become the peripheral to the political statement, racism, trade unionism and society that fill the pages and internet. Football seems to be becoming a spectacle for all the wrong reasons. Today’s sportsmen and women are becoming more known for their off-field antics than those on the pitch. One of the most recent incidents was involving referee Mark Clattenburg, who presided over Chelsea’s 3-2 loss to Manchester United earlier this month in which he sent off Branislav Ivanović and Fernando Torres. He was then confronted by a furious Mikel after the game where he was accused of calling the Nigerian a ‘monkey’. Clattenburg will know by the end of this week whether he will face a Football Association charge after Chelsea’s claim that the referee used “inappropriate language” towards John Obi Mikel. The Professional Footballers’ Association (PFA) chief executive, Gordon Taylor says the union wants tougher penalties for racist abuse including making it potentially a sackable offence, culprits ordered to attend awareness programmes and a form of the ‘Rooney rule’ to boost the number of black coaches and managers. Taylor’s response comes after Reading striker Jason Roberts, a member of the PFA’s management committee, expressed frustration that his recommendations had not been acted on. 1 Speeding up the process of dealing with reported racist abuse with close monitoring of any incidents. 2 Consideration of stiffer penalties for racist abuse and to include an equality awareness programme for culprits and clubs involved. 3 An English form of the ‘Rooney rule’ – introduced by the NFL in America in 2003 – to make sure qualified black coaches are on interview lists for job vacancies. 4 The proportion of black coaches and managers to be monitored and any inequality or progress highlighted. 5 Racial abuse to be considered gross misconduct in player and coach contracts (and therefore potentially a sackable offence). 6 To not to lose sight of other equality issues such as gender, sexual orientation, disability, anti-Semitism, Islamophobia and Asians in football. Taylor also called for unity in the wake of some players considering forming a breakaway organisation for black players. Earlier this year, after fans of Porto spent a game racially abusing Mario Balotelli, a black striker who plays for Manchester City, UEFA fined the Portuguese club a mere £16,700. Incredibly, it then fined the English side £25,000 for what it apparently saw as the more heinous crime of leaving the dressing room a minute late for the second half. The Russian Football Union, meanwhile, was fined £24,000 after many of its fans directed monkey chants at Theodor Gebre Selassie, a black Czech Republic defender, during this summer’s European Championships. In comparison, during the same competition Nicholas Bendtner, a Danish player, was fined £80,000 for wearing inappropriate underpants. In a recent ComRes poll for the Sunday Mirror it was shown that the majority of people (57%) said it would be impossible to eliminate racism from football but nearly two-thirds (62%) said harsher penalties for racist behaviour would reduce the number of racist incidents. Personally it seizes to amaze me that in 2012 people can be so ignorant towards different races and cultures. In my personal opinion I think it’s hard to fathom that in the 21st Century this is such a prominent problem. I think the only way to combat this issue is to create a harsher punishment for those who act prejudice towards others. If people work together and report those who use offensive and racist behaviour in sport, we will hopefully be able to abolish racisms from sport all together. The ethics in this case appear to be situational, for example, if you are at risk, then yes, however if it is simply for the sake of harming another this is not ethically acceptable. An issue is rarely straight forward, which is the case for this one in particular. By changing the amount of force the law allows, there may be repercussions. It is argued that providing people with more rights to fight back may have the opposite effect than intended in which people may take advantage of their new found lenience. For example, knowing that they are more protected in terms of using self-defence, people may use this inappropriately as they feel they would then be held unaccountable for their actions and can claim their actions were defensive when in reality they were not. However, the possible change in law does state that it is okay to fight back as long as it is not with “grossly disproportionate force.” I feel that this statement provides boundaries for this potential issue as it proves that there will still be consequences if things were to go beyond self-defence. To further complicate things, if the change were to take place, it is a possibility that it may increase violence on both sides of the spectrum. 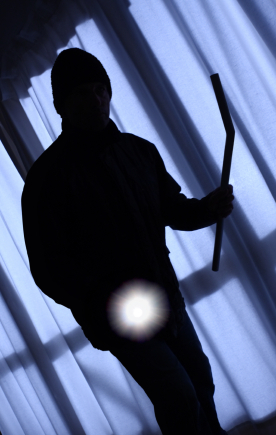 Does this mean burglars will come more prepared with weapons knowing that householders may be more likely to fight back? Will this lead to more victims being killed trying to oppose the burglars? It is a difficult issue as it may ultimately encourage people to fight back which may be harmful or fatal. However, I feel that the change in law is more about educating people about their rights, dispelling any doubts about what they are able to do to protect themselves and what they are not. 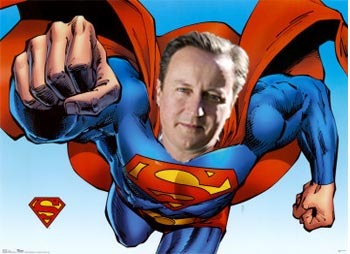 Do you think Cameron is acting as the householders Superman, or is this the start of a more violent culture? Is it ever okay to kill?